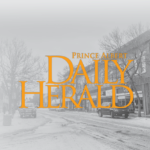 In the early hours of Saturday morning, Prince Albert police responded to three different assaults — all of which they believe were committed by the same suspect. The first incident occurred around 2:15 a.m. in front of a business on the 200 block of 15th Street West, near 7-Eleven. The man was involved in a physical assault with another male, and fled before police got there. About 15 minutes later, the suspect struck an unconscious man in the head on the 1300 block of 2nd Avenue West The victim was transported to hospital. Again, he fled the scene before police arrived. Then, around 2:45 a.m., police went to the 900 block of 1st Avenue West, near Georgie’s Beer & Wine Store. They got a call saying someone was on the street after being kicked and robbed of his guitar and alcohol. Police located the suspect nearby on a bike, who also matched the descriptions given of the suspects for the previous two assaults. He was carrying a backpack holding the stolen alcohol. He’s now facing charges of aggravated assault, stealing personal property using violence and breach of a youth sentence order to follow curfew, keep peace and be of good behaviour. He appeared in Prince Albert provincial court on Monday.